One of the hardest hitters in the history of the featherweight division, Terry McGovern captured both the bantamweight and featherweight titles. In his prime, McGovern was a fearless, powerful puncher who recorded 38 knockouts in his first 62 fights. Not much for fancy maneuvers, McGovern simply went after his opponents with a ferocious will to win. McGovern, who grew up in Brooklyn, never went to school. He was a newsboy and later worked at a variety of jobs. As a laborer in a lumber yard, McGovern handled himself well in the occasional fights there, and his boss encouraged him to become a fighter. He turned pro in 1897 at the age of seventeen. Within two years, McGovern was a contender for the vacant world bantamweight title. He faced British bantamweight champ Tom (Pedlar) Palmer for the crown in 1899. Though previously unbeaten, Palmer could not last one round with the solid-punching McGovern, who knocked him out in less than two minutes. The next year McGovern took the world featherweight title from a declining George Dixon with an eighth-round knockout in Madison Square Garden. 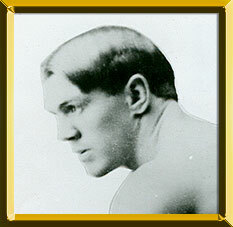 McGovern successfully defended his featherweight title several times in 1900 and 1901. He also scored a third-round knockout over the world lightweight champion Frank Erne in a non-title bout. He beat Hall of Famer Joe Gans in two rounds in 1900, although Gans later admitted to throwing the fight. McGovern's toughest opponent was Young Corbett, a fighter from Denver whose fierce attitude rivaled the ruthlessness that McGovern exhibited. A fight between the two, who were only seven months apart in age, was set up in 1901 in Hartford, with McGovern's title at stake. Observers have said that Corbett unnerved the champion by not showing any fear or deference toward him. Passing by McGovern's dressing room on his way to the ring, Corbett shouted, "Come on out, you Irish rat, and take the licking of your life." Corbett and McGovern each scored a knockdown in the first round, but in the second, Corbett handed McGovern the first knockout of his career. McGovern tried to win back the title from Corbett in 1903 but was knocked out again. McGovern fought infrequently for the next five years, never regaining his earlier skill. In the latter stages of his career, McGovern's behavior became erratic, and he spent time in various sanitariums. He collapsed while serving as a referee at an Army camp during World War I and died soon after.